I am sitting in the office watching the new over the air TV product we are bringing to our Lawrence users. It runs as a channel on the Roku set top box and will include all of the broadcast channels from the Kansas City market. Pretty neat stuff. We are working contracts now. Expect a big announcement in the next month or two. Welcome Boys & Girls Club! 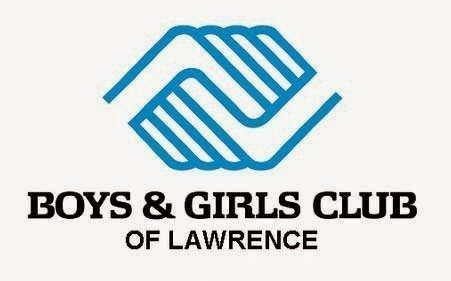 The Boys and Girls Club of Lawrence is our newest non-profit member. Boys and Girls Club got 100% free installation, 100% free equipment and will receive 100% free service for years to come. This will help to free up much needed financial resources for other important programs. We are proud to provide this service to Boys and Girls Club of Lawrence and dozens of other non-profits, charities and low income households in our community. Do you know of a non-profit that might benefit from free Internet service? We are happy to provide free services for local non-profits as a way to help them meet the needs of our community. Have them drop us a line to see if we can help. Our project here in Lawrence has now taken the national stage. Lawrence - a national leader in broadband access. On January 9, 2012 our network reached 1 TeraByte of daily traffic for the first time. 16 months later we doubled that throughput and reached 2 TeraBytes of data per day. In November of 2013, we reached 3 TeraBytes of data per day and, since everyone stayed home today and watched Netflix, today we reached 4 TeraBytes of traffic. This is double the traffic we were moving in May of last year. In case you are wondering, we ordered new capacity in December in anticipation of growing network loads. This capacity is scheduled to come online on March 7. The new capacity will more than double the amount of traffic we can move each day. That's good because at the rate we are going, we may be moving as much as 8 TeraBytes per day by August 2014.